The significance of art and its anchoring in everyday life were an important focus for Christoph Schlingensief, at the centre of his artistic thinking. 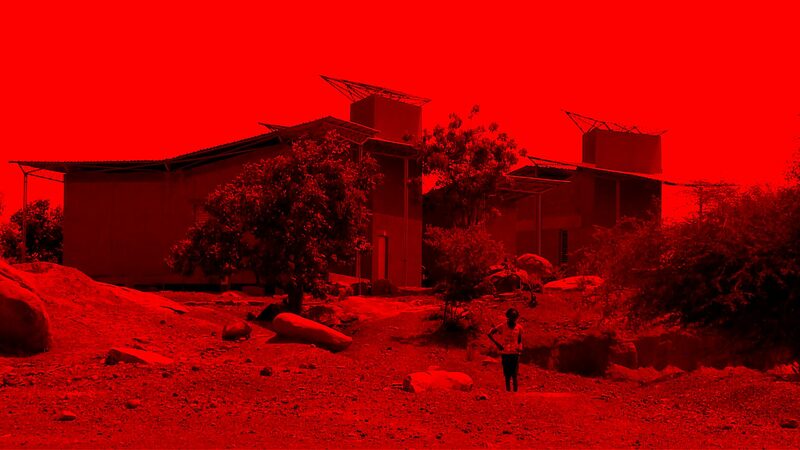 In the case of his last project, the Operndorf Afrika, the main focus of his concern was in addition art, also the pillars of education and medical care. Since 2012, an extensive cultural program, comprising of theatre and dance performances, film evenings and concerts, takes place in the Operndorf Afrika. It is designed and organised, by the local program director Alex Moussa Sawadogo, in cooperation with cultural institutions and artists from Burkina Faso, as well as with the Goethe Institute. The events are well attended and regularly attract cultural professionals and interested people from the capital Ouagadougou, which is located about 30 kilometres away. In addition to the events, workshops for children and the youth are conducted in different art categories. in this case decisive is to fund an art platform, which will function as the basis for children and youth. We will learn again how creativity arises and develops. 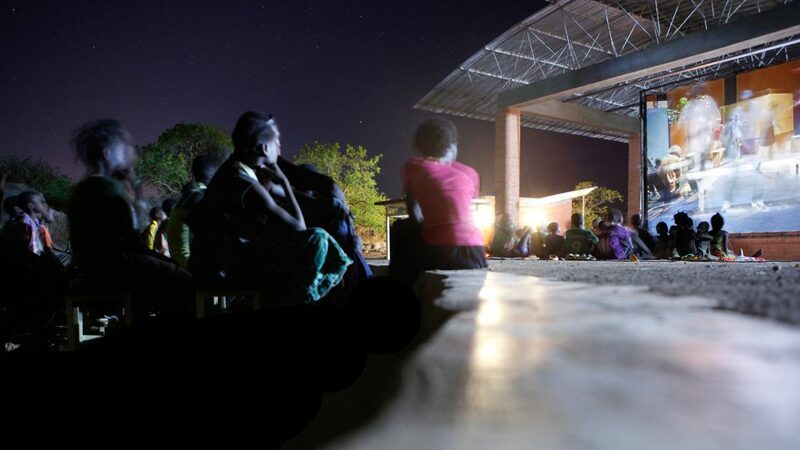 The first focus of the cultural program is to hold up to three or four cultural events in the Operndorf Afrika for the general public of the region, on a monthly basis. 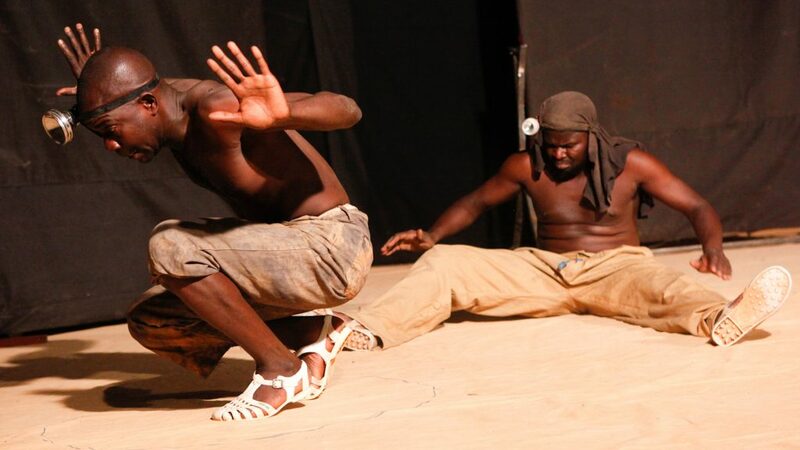 This includes the presentation of important African films, the performance of relevant, contemporary theatre and dance guest performances, concerts or evenings with traditional storytellers. A second focus of the artistic program design is the networking with the local art scene. Through the provision of the infrastructure of the Operndorf Afrika, comprising of artists’ houses, a recording studio and studios, this is increasingly taking shape and as such enables the creation of a free creative space. Building up on this idea, an international artist-in-Residence program was set-up in the Operndorf Afrika, in 2015: Learn more about it here. 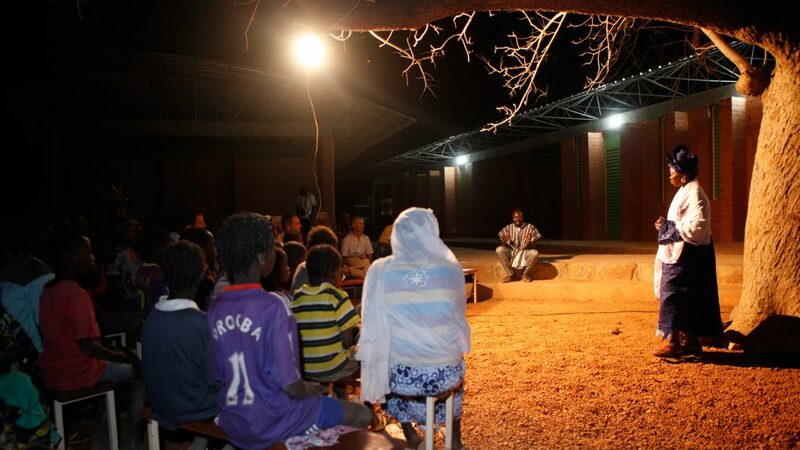 The cultural program of the Operndorf Afrika, moreover in addition to its main focus, also pursues the artistic orientation of the primary school, by supplementing it with an extra-curricular offer, in the form of music and art classes, a theatre group, a film class, as well as alternating workshops with established artists. 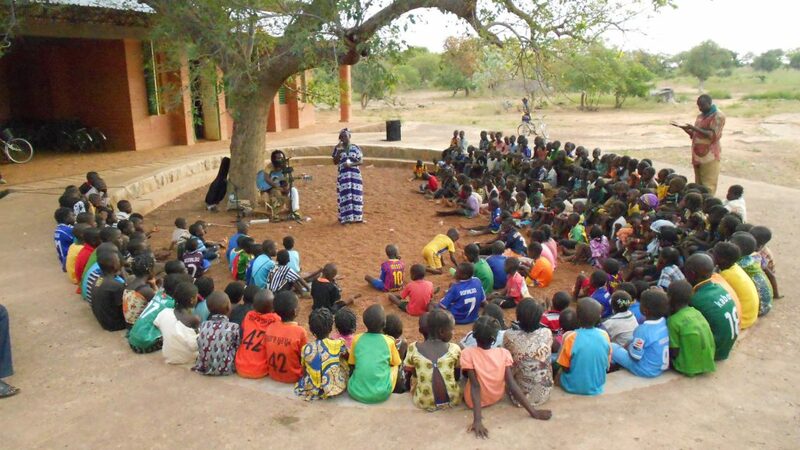 This is on account of the fact that the Operndorf School is not a normal primary school in Burkina Faso, an artistic concept is pursued in the classroom. You can learn more about the education program of the Operndorf School, here. 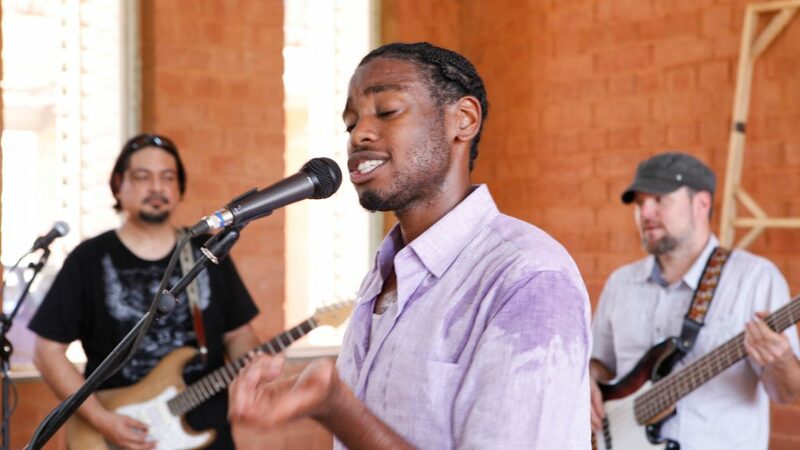 Changing program points are designed by the artistic director Alex Moussa Sawadogo and are in conjunction with national and international artists, offered on a monthly basis, to children, parents as well as neighbours of the Operndorf Afrika. 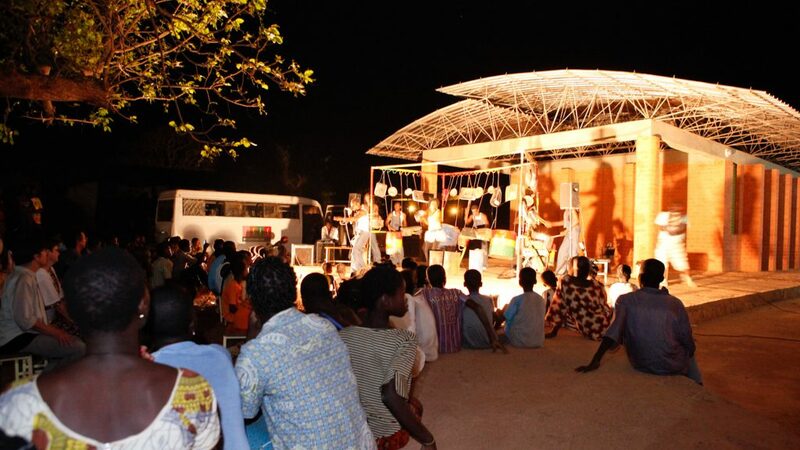 The budget for the culture programme is estimated to monthly amount to 1,000 Euro, from which workshops, events, as well as excursions of the children and youth of the Operndorf Afrika to befriended cultural institutions in Ouagadougou, is financed. The cultural program takes place each year, analogous to the school calendar, from October to the end of July – in the summer, the program pauses, just like the school.